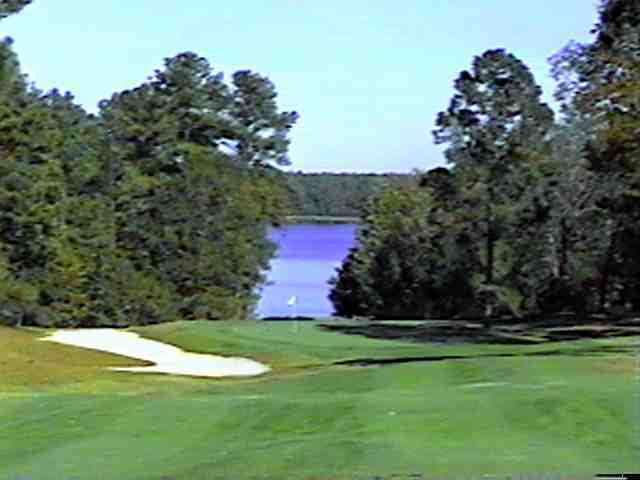 A large waste bunker lies on the left side of this fairway for almost the entire length of the hole. The uphill drive therefore should favor the right center on this dogleg left. 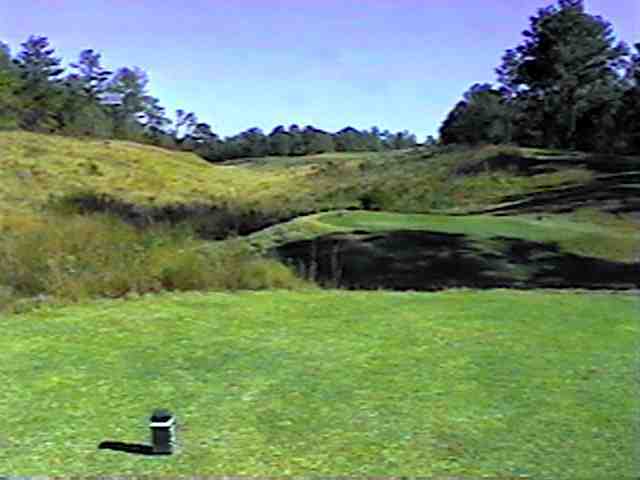 The approach shot is downhill to a green guarded on the left by a large trap.